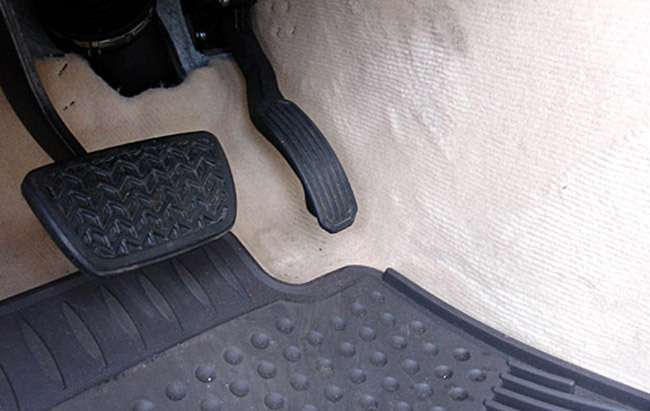 “We have reviewed with the National Highway Traffic Safety Administration what we’re calling a semipermanent floor mat installation process, and we’re providing these instructions to our dealers,” Toyota spokesman Brian Lyons says. He says the mats are to be secured to the driver’s seat frame with nylon self-locking wire ties, described as plastic straps that loop back into themselves and lock when pulled tight. Dealers have received the recall info, and Lexus will likely begin contacting owners shortly. As an aside—I respect that what happened in California was a tragedy, it’s important to note that it was due to an improper set of floor mats, not the standard equipment ES 350 floor mats. Update: It wasn’t clear from the Automotive News coverage, but this zip tie solution is only temporary until a permanent solution is ready. Whew!